**Registration is necessary for accounting purposes. 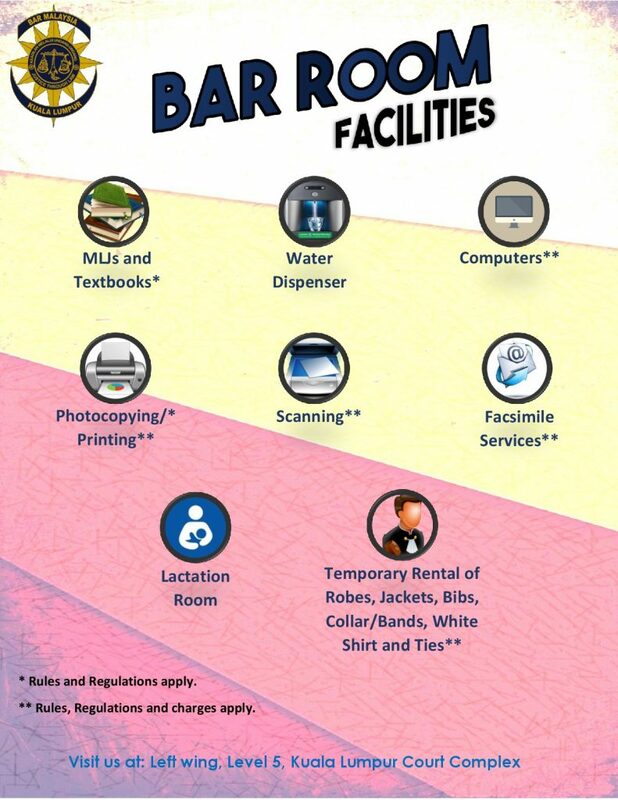 Please see person-in-charge in the Bar Room for assistance. Personal belongings left unattended on the tables and chairs in the Bar Room shall be removed by the Bar Room staff. The Kuala Lumpur Bar Committee accepts no responsibility for any loss of personal belongings left unattended.